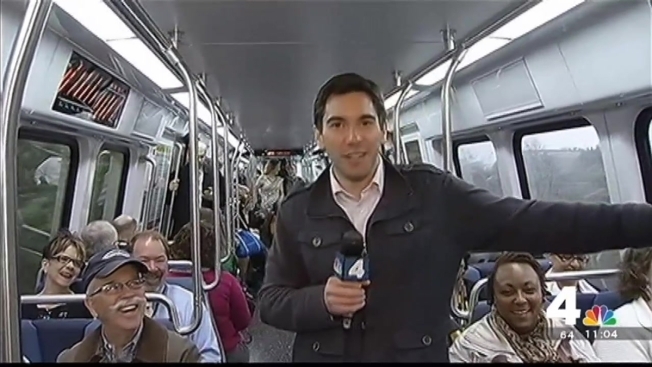 Some commuters on the Metro system are riding on all-new rail cars. 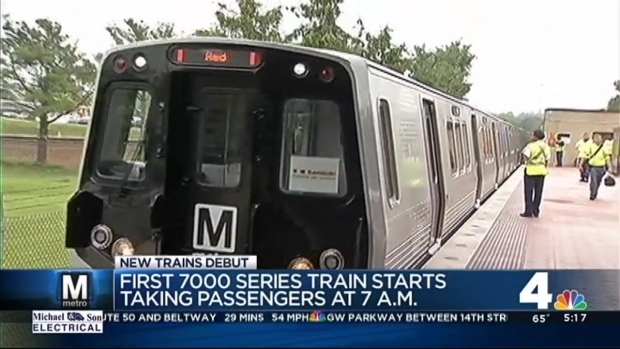 Metro deployed the new 7000 series rail cars Tuesday morning on its Blue Line, which runs from Springfield, Virginia, through the District to Largo, Maryland. The new cars replace the oldest cars in Metro's system, which go back to its founding in the 1970s and have been faulted by safety experts for their ability to withstand a crash. Many riders expressed excitement with the new cars. "Oh man, this is an awesome train right here," said passenger Darnell Austin, who donned a pair of Metro-themed sunglasses emblazoned with the hashtag #newtrain. "They need to have a lot of these on the line." What does he like best? "The exterior, the interior, everything about the train, even the voice announcements," he said. "You know, everything about it; it's beautiful." Metro has ordered 528 of the new cars, enough to replace all of the oldest cars in the fleet. The Red Line is expected to get some of the new cars in the next couple of weeks. The new cars feature electronic signs, no-slip flooring instead of carpeting, and sleek blue seats, replacing the brown-and-orange color scheme in the old cars. "When I first started riding about five years ago, it was in the three-dollar range," said passenger Ken Buell. "It's in the five-dollar range now, so absolutely you want to get the most bang for your buck." Metro Chair Mort Downey said the new cars are safer and stronger. "The car may get damaged; the customer shouldn't be," Downey said. The Red Line is expected to get some of the new cars in the next couple of weeks.